It’s been less than a month since the last update of Logistics took place, yet we сouldn’t wait to fine-tune the service to enhance your experience! Take a dive into the latest changes aimed at increasing the overall efficiency of Logistics 1.11. We have recently introduced a function that lets you view attachments to certain orders (images, digital signature), both in routes and reports. This will also allow the dispatcher to gain access to essential graphic information at all stages of the process. Furthermore, reports can now be exported in .pdf format. Get in touch with the driver and clarify all further details via chat. By clicking on the notification he can proceed with the order in the "Routes" mode (the corresponding order will be highlighted in color). As a result, the dispatcher is able to react promptly and make only informed decisions. Working with orders at the stages of creation and planning has become much more convenient. Orders are now created in the modal window. At the same time, order properties are placed as compactly together as possible to ensure the more efficient map access, where you can immediately see the order location. We have now bettered the overall experience of working with filters. In addition, the created filters along with their properties can now be saved for further usage (the value of the filter is "single", "permanent" orders, in the routes there’s the "route status" filter, in reports: report type, selected unit/driver/group). Thus, you do not need to create new filters every time you start working with the service. 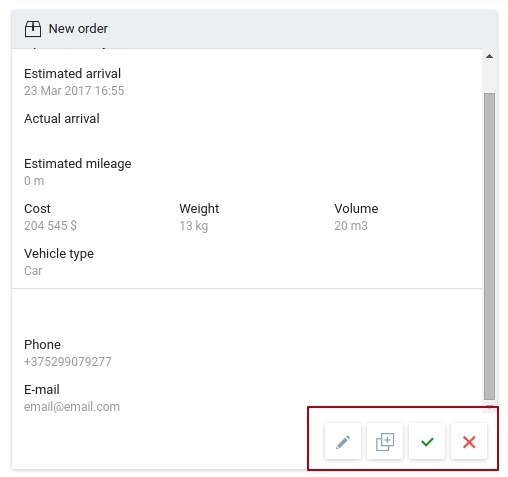 A new option was added to quickly copy the order in the Route and Planning mode, this is aimed at speeding up your work with similar types of orders. For the better service performance, we have added an opportunity to change the order of the columns in the order table. The same functionality appeared in the list of routes. Following the multiple requests from partners, we added the new function to trigger and play a short beep when a new message from the driver arrives. Please note that this function is optional: it can be set right in the chat window. Now the dispatcher stays well-informed on each and every single message! In the route mode, you can now search for orders. Simply enter the text in the search field in the left panel (similar to the planning mode), and the search result will be dynamically highlighted in the list of routes. Search is carried out by order name, customer, phone, address, tags, etc. A similar logic is implemented in the "planning" mode. Now you can find the right order much faster. In addition, we added alerts, activated upon the deletion of a route. This is tuned to prevent accidental deletion of important routes. Finally, the overall performance of searching and determining addresses has been increased. For more convenient integration with third-party systems, import of orders and routes into the system can be performed not only in .csv, .xslx, but also in JSON format. For more information, see Logistics User Guide. In "Planning" mode, we added "Routing Source" option, which is responsible for selecting the data provider, used to create and optimize the routes. With the new option, you get a chance to simplify the optimization of routes "without routing", when the distance between requests is calculated "in a straight line". In this respect, you can set the average speed for calculating the time between orders. It is convenient to use the new function with an insufficient quality of the road graph, and if it is not important to strictly follow the routes (in such cases, the driver often uses an external navigator to build routes between the 2 locations to manage orders). Also, when selecting the source of mapping data "Gurtam Maps" in the "Planning" tab, it was possible to artificially influence the time to arrival by setting the indices that affect the speed in the city and outside the city. This is especially helpful in cases when on the same routes the estimated planned time does not coincide with the actual one or we know that the route always has traffic that affects the total time of the route. 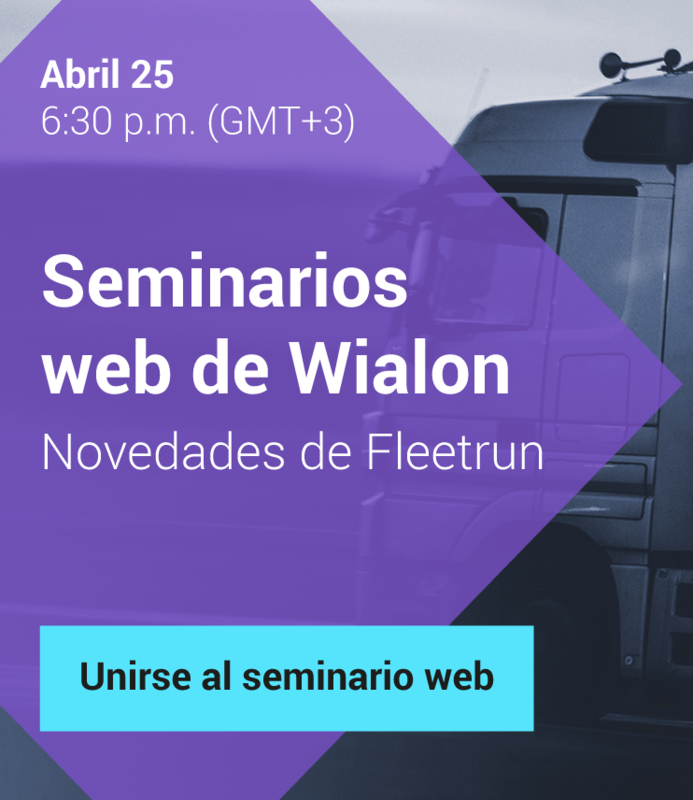 The advanced functionality of Logistics allows you to use the service not only to control the work of delivery services but also within the framework various projects when timing and planning are essential. Any ideas on making Logistics better? Feel free to engage in an open discussion on the forum! Bon Voyage to all of you!